w ciągu 2 dni 16 godz. 30 min. 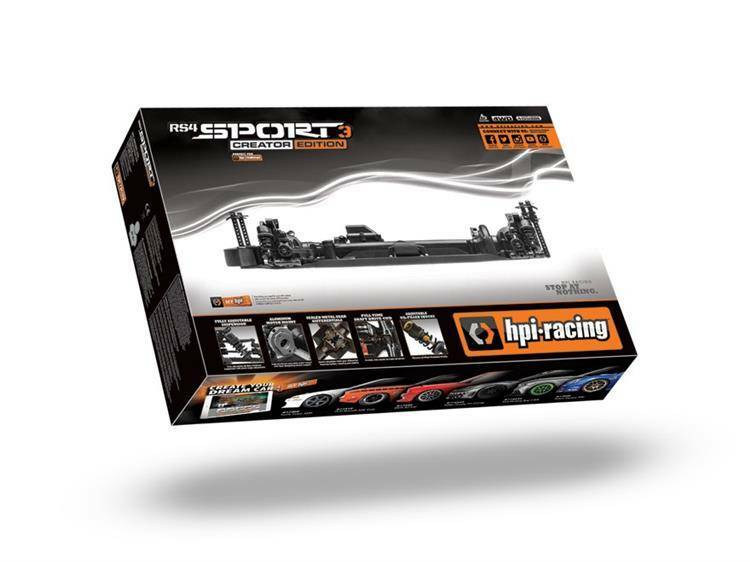 The RS4 Sport 3 Creator Edition is the first HPI Racing car to deliver a completely built, ready to drive chassis, ready for you to add your own choice of body, wheels, tires, and electronics! This is the purest form of on-road RC that is waiting only for YOUR finishing touches to make it into whatever you can dream: muscle car, drifter, street car, sports racer or even a rally car! No matter what kind of on-road action you prefer, you can be on the road and driving in record time! The RS4 Sport 3 chassis is the latest evolution of HPI Racing on-road design. It features a completely sealed and highly efficient ball bearing-supported shaft drivetrain for maximum efficiency combined with reduced maintenance. 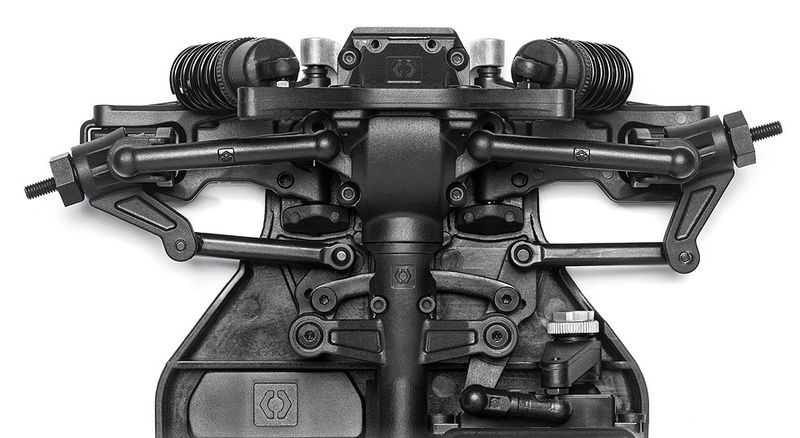 The suspension design is taken straight from scale and full-size racing technology, with a double wishbone suspension fitted with oil-filled coil-over shock absorbers. 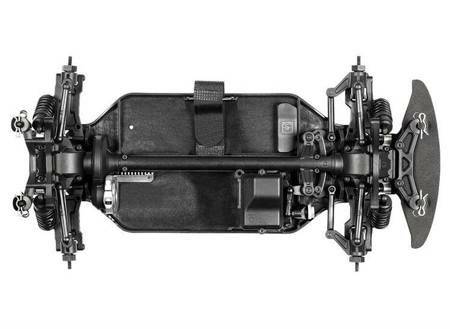 The fully sealed drivetrain means there are no exposed gears, belts or drivetrain parts to get stuck with rocks or dirt, and the durable suspension design allows you to tune the car for all types of driving conditions, from club racing to drifting. 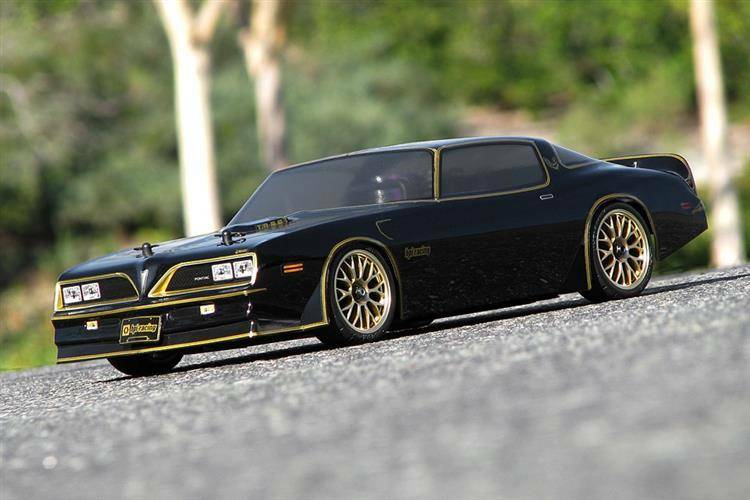 This is a fully-featured, ready-for-anything car! Choose Your Favorite Replica Body! When you’re customizing your RS4 Sport 3 Creator Edition, a crucial step in getting the right look is deciding on the right body! It doesn’t matter if you’re going to build up a muscle car, import, drift or racing car, HPI Racing has a massive selection of amazing replica bodies to choose from! 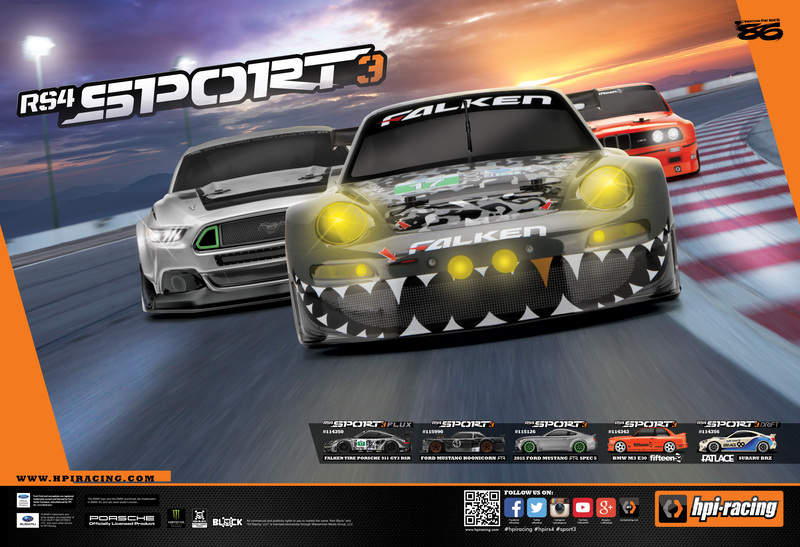 Next, you'll want to choose the right wheel and tire combination – and HPI Racing has a huge selection to choose from! From vintage to modern, shiny chrome to bright green, we’ve got you covered with an amazing array of awesome wheels! With the perfect set of wheels fitted, you'll want to get tires to match what you plan to do! 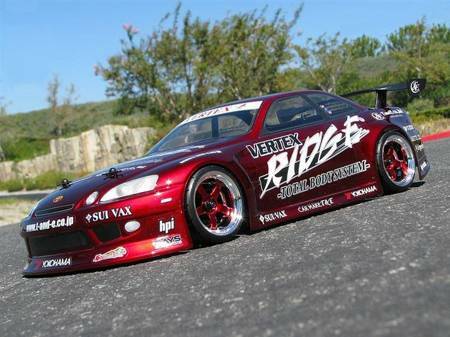 Are you going to drift, race or just show off? It doesn't matter where you're driving, HPI Racing has all types of tires for all types of cars! Getting your RS4 Sport 3 Creator Edition moving is super easy, since it just a few things to start driving. 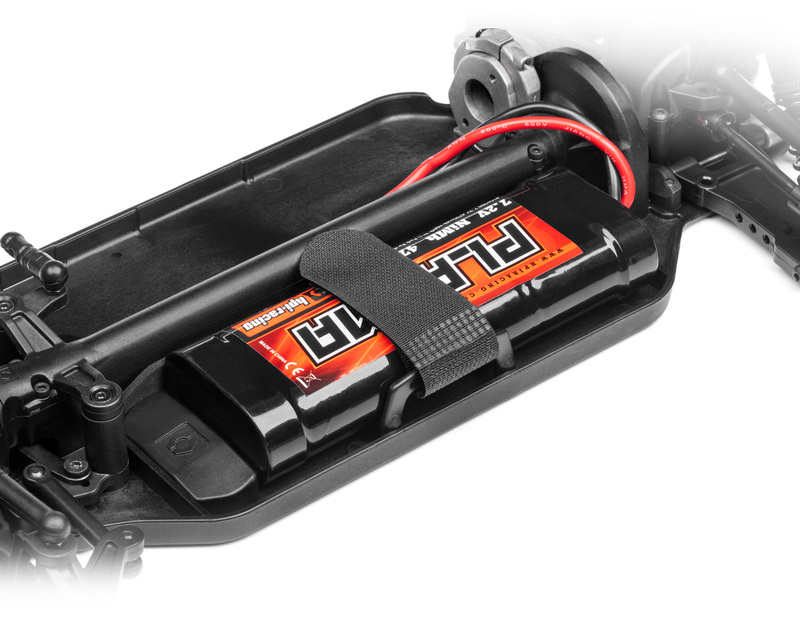 For complete control, install the HPI #120042 TF-41 radio set and your choice of HPI servo - we suggest the #120019 HPI SS-30MGWR or the #110650 HPI SS-40WP servos for their high power rating and protection from water. You can also fit any standard-size RC electronics in the chassis, including low-profile racing servos! Choose How Much Power to Strap In! You have plenty of options when it comes to power, also! If you're just starting out with RC, you won't need tons of power, so an HPI motor combination like the #114712 SC-3SWP2 speed controller is ideal for brushed motors like the #1144 Saturn 27T or #1146 Firebolt 15T, which get the car moving quick enough to have some fun. If you're a total speed freak and are ready for the extreme power of 3S brushless power, the RS4 Sport 3 is ready for just about anything that you can fit! If you're an experienced RC driver, we suggest the #112850 HPI Flux MMH-4000KV motor with the waterproof #112851 HPI Flux EMH-3S - this option will easily get the car over 60mph (100km/h)! ...can YOU handle the power!? Check out the HPI Plazma car battery range and HPI battery charger range to finish off your RS4 Sport 3 Creator Edition build! 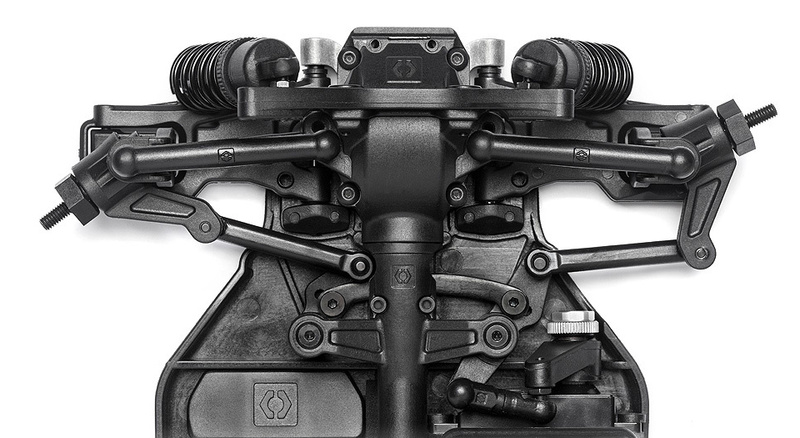 The unique RS4 Sport 3 Creator Edition features a fully pre-built RS4 Sport 3 chassis, which is the latest on-road car design from the minds at HPI Racing! 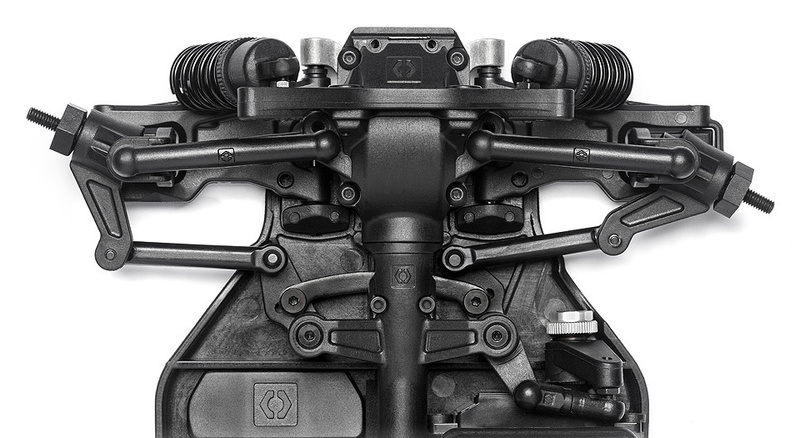 The factory-assembled chassis features a huge amount of high-end features that make it the best on-road car choice for anyone new to RC, coming back to the hobby after a break, or RC experts looking to add a new car to their collection. 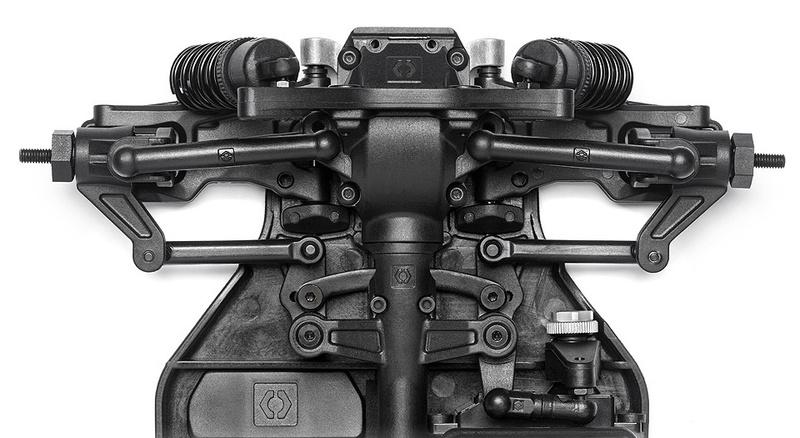 With full-time 4WD and heavy-duty gear differentials front and rear for excellent traction and control, a completely sealed and highly efficient shaft drivetrain, coil-over shock absorbers and racing suspension, the RS4 Sport 3 has tons of features to make it the ideal platform to get your creativity on the road! Just check out all the fantastic features that come with every RS4 Sport 3! The drivetrain of the RS4 Sport 3 features extra-strong metal gears in both front and rear differentials, ball bearings and metal driveshaft and axle parts. This means it can hold up to the power of super-powerful brushless systems using up to 3S LiPo power! Talk to your hobby shop service people to help decide what electronic speed controller would be best for you! The RS4 Sport 3 is fitted with a set composite coilover-style oil-filled shocks, just like what you'd see on a real race car. 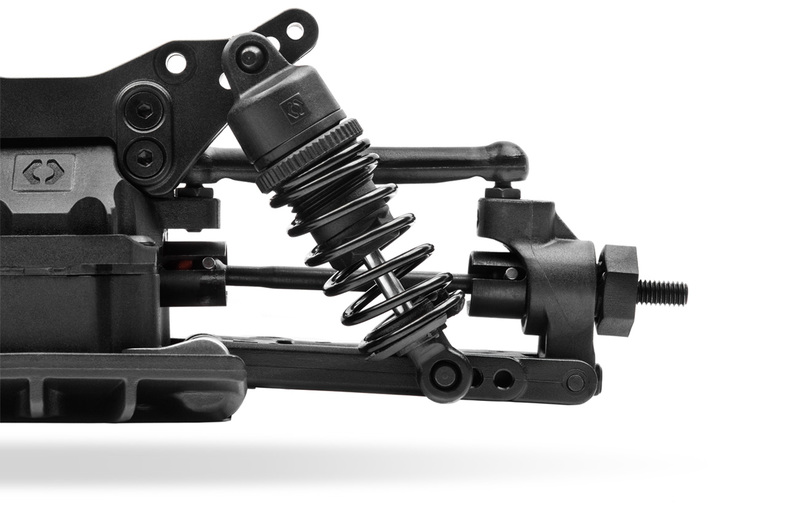 The fully adjustable shocks are tunable to provide the optimum chassis performance on a wide variety of road surfaces. The ride height is quickly adjustable by using the threaded shock collars. Further tuning adjustments are also possible by changing the springs and shock oil weight. The built-in rear-end chassis diffuser element smooths out the airflow underneath the chassis for maximum aero efficiency. 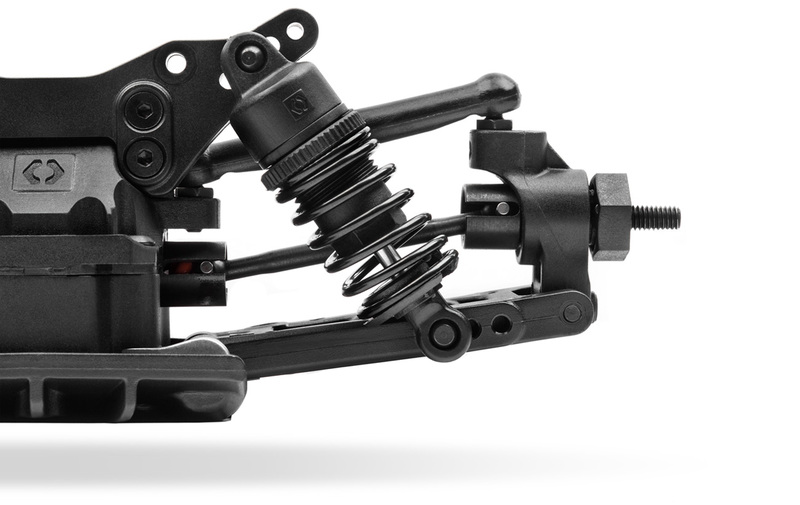 The adjustable height body mounts let you fit any 1/10 scale touring car body from HPI Racing on to the RS4 Sport 3 chassis. 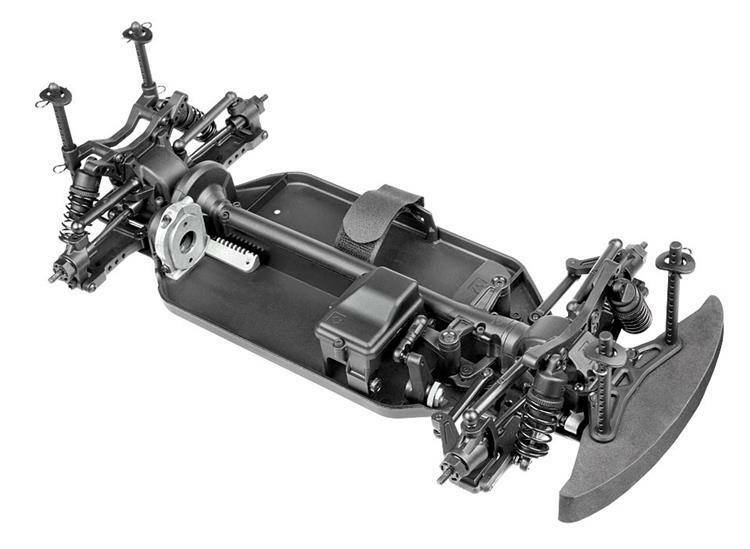 All you need to do is adjust the front and rear body mounts to allow the wheels and chassis elements to fit properly underneath the body. 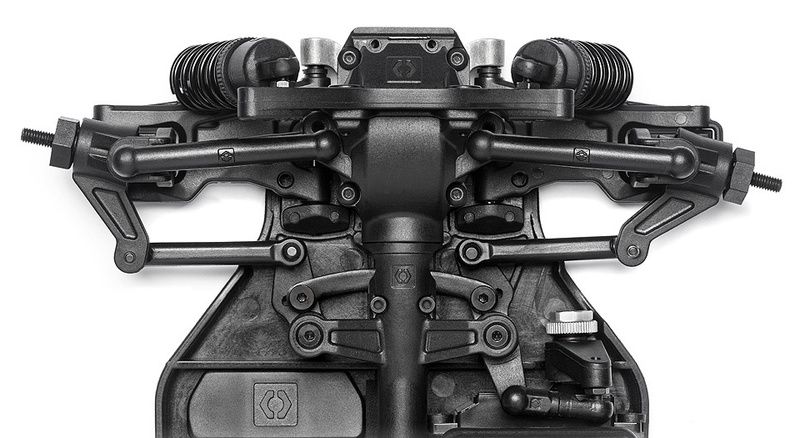 Body pins hold the mounts in place, and the multiple mounting hole positions allow you to fine-tune the exact body fitment.